What else would our readers like to tweak? Another fairly popular response had to do with making alterations to predominant user interfaces, to make them not only more user-friendly but more engaging than the standard ones we so often come across. A UI should never be taken lightly, because it leaves a stronger impression than the overall concept or content of the website itself. The design might be the most spectacular thing to ever grace an app or page, but if the interface hampers the experience, good luck getting people to come back. We got a couple of suggestions that might steer the community toward a more advanced UI experience. From doing away with roll-over pop-ups to a website-specific history of links for returning users so that they can pick up where they left off, whatever the approach, adjusting the UI was in our readers’ sights. Oh bloody hell, that question is easy: NO roll-over popups. Anything that obscures content on the page should require a click! Engage people with better user interfaces, lightweight websites and Web apps in order to create great user experiences. Great design + great code = amazing experiences = happy people = a better world! I would like to see more usability functions and a “resume” option to bring up the last links seen on a website when you return to it. That way, if you have to leave, you can return and begin where you left off—a history, but saved on the server side of that specific website. Push for consistency and usability. I’d have two versions of websites: one with no ads at all, the other with ads, etc. The Internet user would have options. Our Twitter friends also wanted to change the Web design community and foster a collaborative mentality that motivates the masses. Many innovative and exciting minds are working in the design field, and some believe that the best possible change would be if more designers came together to encourage a forward-thinking and creative environment. By working together, we could educate and strengthen the community, empower the honest and dedicated designers out there and relegate the con-artist crew to the fringes of the industry. A handful of replies suggested that through the unity of designers, we could effectively guide the industry forward. This doesn’t mean we would all have to agree on everything and move in the same direction. It just means that a friendlier, more collaborative mindset could take the community to new heights. I would reduce hostile competition between designers and increase collaboration. IMO, too many designers do their own thing. Improve quality of and access to education relevant to the industry. I’d make some sort of service-level agreement compulsory so that clients could see those “free” and “cheap” website con men for exactly what they are. The next item our followers targeted falls under a couple of the other categories we’ve already discussed, but a few people specifically addressed this platform, so we thought we should too: Flash. Some say fix it and keep it around, others say abandon it once and for all. We know the topic is divisive. On one hand, the platform has been used to create some truly inspired work; on the other, compatibility is not guaranteed. For that reason and others, some people have called for its head. Perhaps there could be a compromise, in the form of a stable and functional version that realizes its full potential. The responses below make clear that both sides are passionate. Flash has done so much for the art and design communities that not giving it a nod would be wrong. Perhaps, though, that nod should be a final one as Flash quietly exits the playing field. Somehow sort Flash so it integrates better. Don’t ever overlook what Flash has done for Web design and digital art! Next up: the standards that govern the field. More specifically, let’s talk about the process by which those industry standards are approved and then universally put into practice. This does partially fall under the umbrella of browser issues, which kicked this article off. We felt we should also address the overly long time it takes for these standards to actually become standards. In this field, where staying ahead of the game and being as innovative as possible is all but mandatory, lags in the industry don’t help us break new ground. Below are the responses in this part of the conversation. Speeding up the standards certification process would be a major step forward for the Web design community. Moreover, if the implementation happened across the board for all vendors simultaneously, all of our jobs would be so much simpler. I want instant adoption of CSS3 so we wouldn’t have to bother with so many vendor-specific rules. Web standards should be approved faster. By the time they are official, there’s a whole new language ready to take their place. Make Web fonts standardized and universal, starting immediately! We also thought it prudent to cover the box model and the way different vendors handle this element of Web-based projects. Much like the Flash dispute, there are a couple of different takes on this, and both turned up in the poll responses. Altering the box model math would work if all vendors, say, adopted the IE approach to setting margins and borders and padding around boxes. Rather than working outside the box like the other vendors (who require you to do math to set them), IE works inside the box to keep your div the size you intended. An approach other than with IE would steer the industry away from the box model altogether and just push the grid. This would provide some level of consistency among the various browsers. Alterations that simplify our work are always welcomed, and cutting out unnecessary steps from the process would be a change for the better. Replace the box model with a grid model. The next item we’ll examine also concerns a box of sorts, but this one metaphorical. It’s a box found in the minds of many industry creatives and otherwise innovative thinkers, and changing it would be amazing. If everyone could break free of their mental boxes (the ones they can’t think outside of), the industry would explode. We’d soar to fantastic heights and open up unforeseen trails. No-limit thinking should be a required study for everyone working in creative fields. Hopefully, the advice offered below will help you break out of your box. Usually, the only reason we don’t try something new is because we haven’t seen it done before. That should be a reason to go forward, not back. Make your work free of limited thinking. Why a sidebar? Why a menu? Why a content area? Why not re-invent it all?! Free your mind! The last topic that came up in the poll is the way our job is perceived by those outside of it, especially clients. It’s a problem that bothers many in the industry. Unfortunately, some belittle the creative process, undervaluing us and our work in the process. We often hear horror stories of designers being disrespected by former clients. It can make the job much more difficult than it should be. This would be a welcome change. Easier said than done, but admitting there is a problem is always the first step to solving it. Opening a dialog on the subject, and keeping the tone respectful, is one way forward. Information is usually the best way to combat ignorance. Change the client’s ingrained perceptions of cost and value. We say a final word of thanks to all who participated in the Twitter poll. Below are a few resources to check out when you have the time and inclination. Feel free to leave comments on what you would change about the world of Web design. A grassroots coalition that fights for standards to ensure basic affordable access to Web technologies for all. An international community that develops standards to guide the long-term development of the Web. Just what you would expect. Get a look at the box model in action. A comprehensive guide to the CSS box model for those interested in learning a bit more about it. A useful post that teaches you the basics (and more) of UI design. I wouldn’t kill Flash, rather just cut it in half and kill the part that people use for web design. I completely agree, flash for web design is usually poorly implemented. The user experience could usually be improved by just using a standard web page. For me it is definitely the browser standardization. I’m a developer so of course this is incredibly important to me. For regular web users, it is incredibly important because there is nothing more aggrivating than visiting a site that doesn’t operate properly because of the browser you are using. Personally I feel that the web needs a massive standardization in terms of UX. For example, jquery popups on most sites have a close button on the top right corner while a site like dexigner.com has it on the top left. I know this has been debated over in mac vs pc vs ubuntu/linux discussions but this is something that distracts a user from his intended taskflow for that micro second. That friction is what breaks good UI. 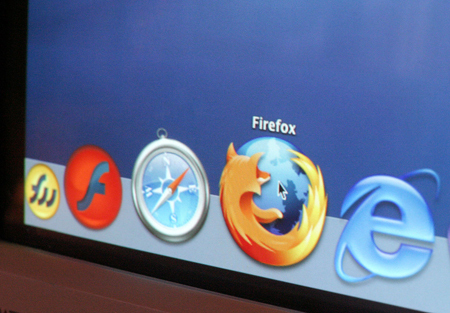 Personally I think that maybe its time for a better synergy between browser and web. Scripts like grease monkey inspire user tweaks for the ‘better’. Maybe, the browser slapping on core functions or preferences over existing code to present in a mode customized to an individual users need might be the way to go. +1 for browser standardisation, I understand that phones need different browsers than desktops etc but internet explorer and firefox are designed to do the same job on the same machine pretty much, Why can’t they all play nice! Definitely fix the browsers. There’s nothing more frustrating as a designer than building a site and liking how it looks… until you open up another browser to see that something has gone completely wrong (IE, I’m looking at you). Cross-browser compatibility wastes so much of my time. At the very least, I’d have everyone stop supporting IE6. Great article! I think we can all agree that the browser situation is the biggest thing that we would all change. I mean with all the time we spend insuring that our code is done right so that it can display properly in all browsers, we can all agree is maybe the worst part of the job. I can’t understand with over 15 years of the Web, there’s STILL no program out there that allows site building with the ease of InDesign or Quark. So-called wysiwyg editors are still hobbling along like they were ten years ago and the code they produce makes me vomit. First of all, I quite enjoyed this post, and most posts here. That being said, I would really like to see design community calm down a little. I feel like everybody is trying to get a piece of the Design Blog pie. So many sites that look the same, have the same purpose, same audience, same general content. Just take a look at the feed on the Smashing Network. Topics get repeated from week to week, and while the source changes, the basic information doesn’t. I agree that a stronger community that fosters growth is needed, but having a bunch of people regurgitate the same stuff isn’t going to help. One main one, ridding the world of Internet Explorer. Leave Flash alone, compulsory plugins should be provided for all browsers. The real thing that needs to be standardized is font rendering. Besides all these pure-img sites, every site consists of text – and it is mind shattering how different fonts look across browsers/platforms. Really, I’d take all those vendor specific stuff, all the IE fixes (which hopefully will be minimal in 8-10 years, when we all curse about IE9 being outdated), all mind bending around the box model and the new css3 properties to use an alternative model JUST for consistent font rendering. Gosh, or at least give the consumer high-dpi displays so we can abandon all this hinting stuff..
Great post and wonderfully written. I like the sound of your utopia! Just leave it the way it is! All hypothetical speak… It’s like what if you could change the world, what would you change… common! It’s a pointless question! If I could change one thing, Internet Explorer would cease to exist. Actually, having just one open source engine used by every browser would allow the engine to improve so much faster than now. Maybe all web developers, web master and web what-ever-you-call-yourself should go on strike all at once for a few days. Even if it’s just symbolic as website could still run, having this virtual strike widely publicize would be a starting point to show the world how browser developer are just plain ridiculous and stupid when it comes to that. Maybe by bringing the attention to people that part of the money they spend on software is because one wants to always make something different for no particular reason than a mercantile one; it would contribute to the cause. If no one outside of the web developing/designing world knows it, nothing will ever change. Or very very slowly. The main problem, is that it does affect anybody but a small group of people. Therefore nothing is done for it. Once you start showing that indirectly, it can affect john and jane Doe, things might star moving a bit more. Yes, i know very socialist view to some. But it does work in other situation, why not this one? HTML is a crude and primitive way of rendering things. That we need to tweak code line by line in order to get something to display in a browser is just archaic. It was designed for marking up scientific papers, not for creating a visually rich environment. It’s just the wrong language for the job. Postscript is a hugely more complex visual language than HTML and yet that has proper visual editing. I appreciate that it’s a simpler environment, you rarely have multi-state printed pages, but y’know: it’s surely not beyond the wit of man to handle this. I love this website layout ! How was it made? It is so nice. It has to be getting rid of flash. I hate it with a passion. Those flash adverts are THE most annoying thing on the web. Thank heavens for firefox and flashblock. You are here: Home / What One Thing About Web Design Would You Change Today?